The Supreme Court has issued comprehensive guidelines to control vandalism by protesting mobs in the case Kodungallur Film Society vs. Union of India. While issuing guidelines, the SC bench of CJI Misra, Justice A M Khanwilkar and Justice D Y Chandrachud, has taken cue from the guidelines issued to control mob lynching in Tehseen Poonawala case. The PIL filed by Kodungallur Film Society sought framing of guidelines to deter large scale acts of violence and hooliganism carried out by fundamentalist outfits and fringe elements in the name of public protests. The PIL was filed in the backdrop of rampant vandalism unleashed by Karni Sena members during “Padmavat” agitation. The main prayer in the PIL was to direct the Central and State Governments to strictly implement the guidelines framed by the Court in the case In Re Destruction of Public and Private Properties v. Govt of AP [(2009) 5 SCC 212]. “Nobody has the right to become a self-appointed guardian of the law and forcibly administer his or her own interpretation of the law on others, especially not with violent means. 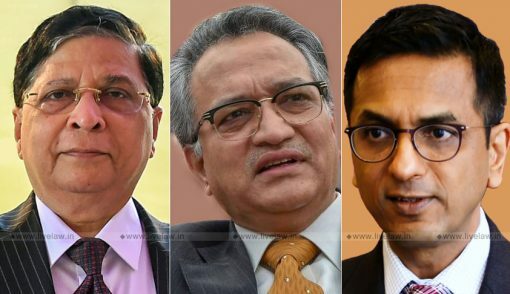 Mob violence runs against the very core of our established legal principles since it signals chaos and lawlessness and the State has a duty to protect its citizens against the illegal and reprehensible acts of such groups“, stated the judgment authored by Justice Khanwilkar for the bench. The guidelines for structural and preventive measures include the direction to the Nodal Officers(to be appointed as per directions in Tehseen Poonawala case) to coordinate with local emergency services, including police stations, fire brigades, hospital and medical services and disaster management authorities during incidents of mob violence in order to have a comprehensive and consolidated response to the situation. The State governments should set up Rapid Response Teams preferably district-wise which are specially trained to deal with and can be quickly mobilized to respond to acts of mob violence. The authorities must consider the use of non-lethal crowd-control devices, like water cannons and tear gas, which cause minimum injury to people but at the same time, act as an effective deterrent against mob force. The Nodal Officer(s) must take coordinated efforts and issue messages across various audio-visual mediums to restore peace and to stop/control rumours. This can extend to issuing communications on local TV channels, radio stations, social media like Twitter etc. In the event of acquittal of any person(s) accused of committing such offences as set out hereinabove, the Nodal Officer(s) must coordinate with the Public Prosecutor for filing appeal against such acquittal, in the right earnest. The person/persons who has/have initiated, promoted,instigated or any way caused to occur any act of violence against cultural programmes or which results in loss of life or damage to public or private property either directly or indirectly, shall be made liable to compensate the victims of such violence. Claims arising out of such acts of violence should be dealt with in the manner prescribed in paragraph 15 of In Re: Destruction of Public and Private Properties (supra). This compensation should be with regard to the loss of life or damage done to any public or private properties, both movable and immovable. Attorney General Called For Judicial Intervention. The Attorney General K K Venugopal submitted that that violent protests which lead to loss of life and damage to public and private properties are against the spirit of democracy.The Attorney General also gave suggestions to increase accountability and timelines for law-enforcement bodies in relation to such acts of mob violence. In the hearing held on August 10, the AG expressed deep concern over the failure of police machinery to stop such acts of mob violence, especially in the context of the attack by Kanwariyas in Delhi and UP. In August, a group of Kanwariyas had created shock by publicly vandalising a car at a busy junction in Delhi in broad day light. Later, they were reported to have attacked police and destroyed a police vehicle in UP. “There was the Maratha agitation in Maharashtra, the massive unrest across the country over the SC/ST judgment, the controversy over ‘Padmaavat’ where the nose of the actress was threatened to be cut off…what happened to the protesters? Nothing! Such episodes of such rioting transpire every other day. Are we going to allow this to happen?”, he asked. He urged the Supreme Court to fix direct responsibility on the Superintendent of Police for such instances of violence and vandalism. Appearing for the the Film Society, Advocate P. V. Dinesh submitted that international media like BBC had given wide coverage to hooliganism unleashed by Karni Sena protesters to ban Padmavati, resulting in tarnishing of India’s image before global community. “I cannot say that these are religious people as religion-oriented persons would not engage in such activities. It will result in anarchy and anger against the judiciary that there is no law and order in this country. A message needs to be sent across”, he had submitted. The petitioner also submitted written suggestions for guidelines, which were taken note of the Court.